Things are beginning to gather momentum nicely towards my Graduation Show at the Art Academy in July (full details to follow) – the devil will be in the detail but for the moment I’m enjoying seeing my recent body of work coming together. 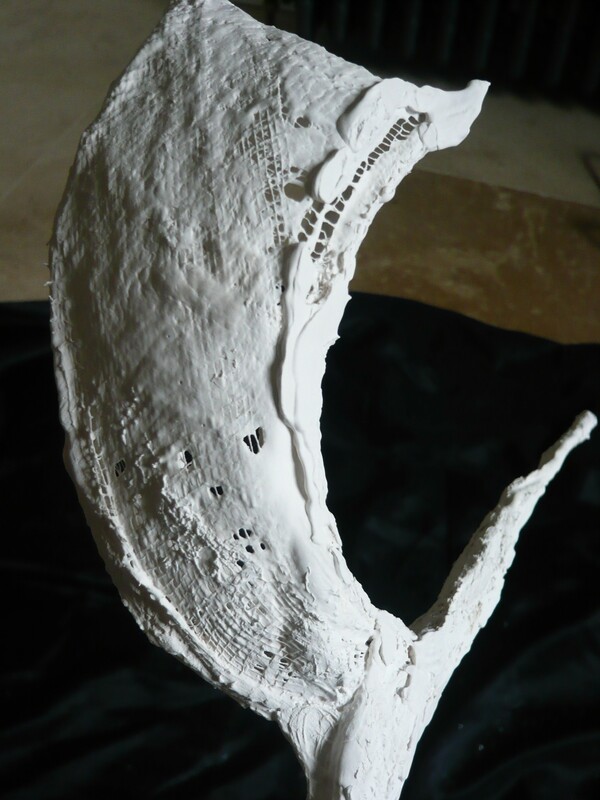 The challenge has been how to mould and cast my direct plaster sculptures as this isn’t straight forward – mainly due to the textures and holes which I have purposely left in a number of the sculptures. 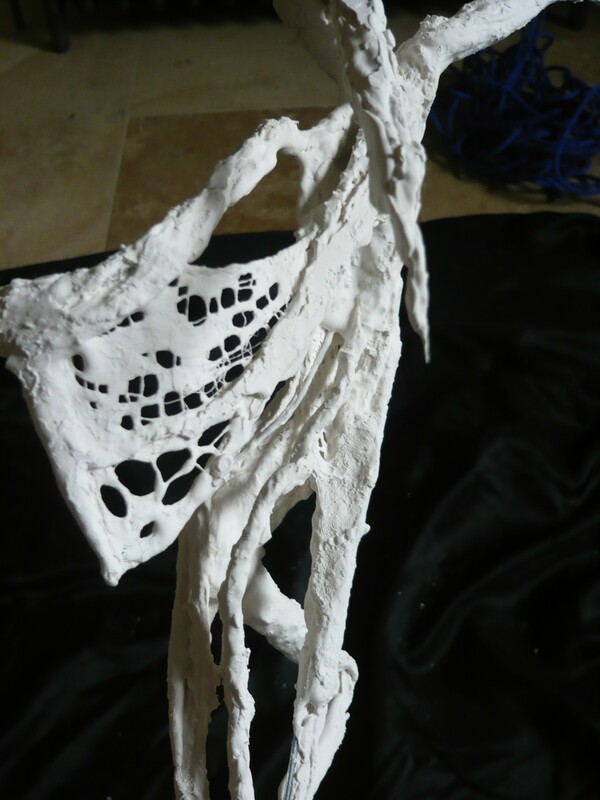 I love working in plaster because it is so immediate resulting in dynamic work which hopefully feels alive. Anyway, the great news is that working closely with my moulding and casting guys, we’ve been able to find a way – I’ll detail the process another time but essentially although it means more work, the results will be worth it. 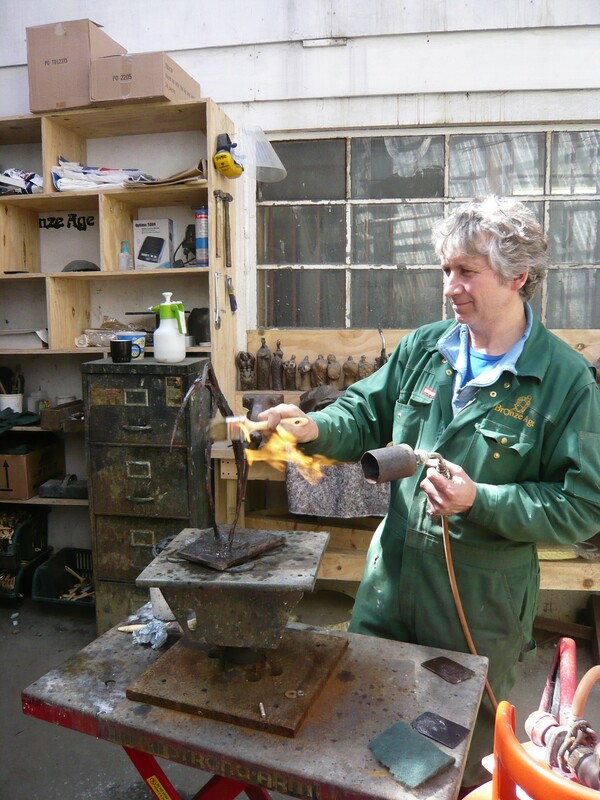 In any event it’s a good excuse for me to spend more time at Ridgeway (for cold casting) and Bronze Age (for foundry bronzes). 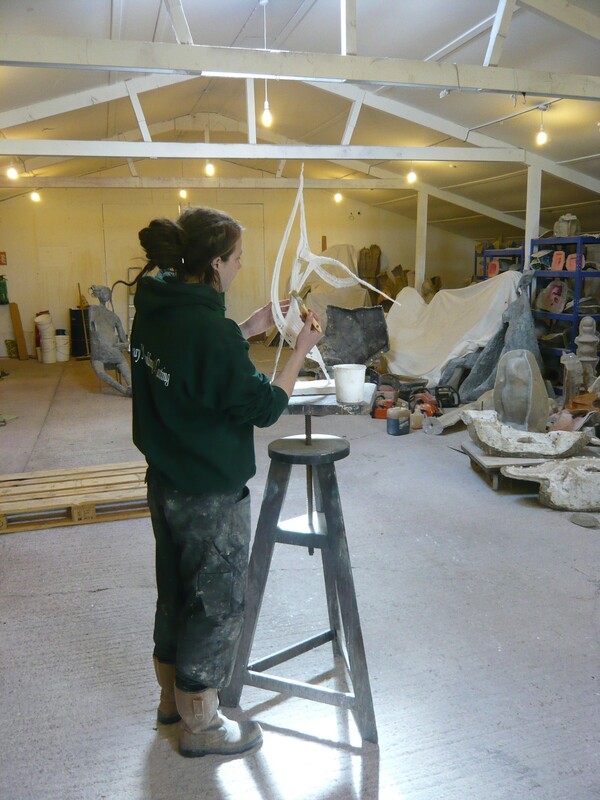 Right – Laura working on one of the direct plaster sculptures. 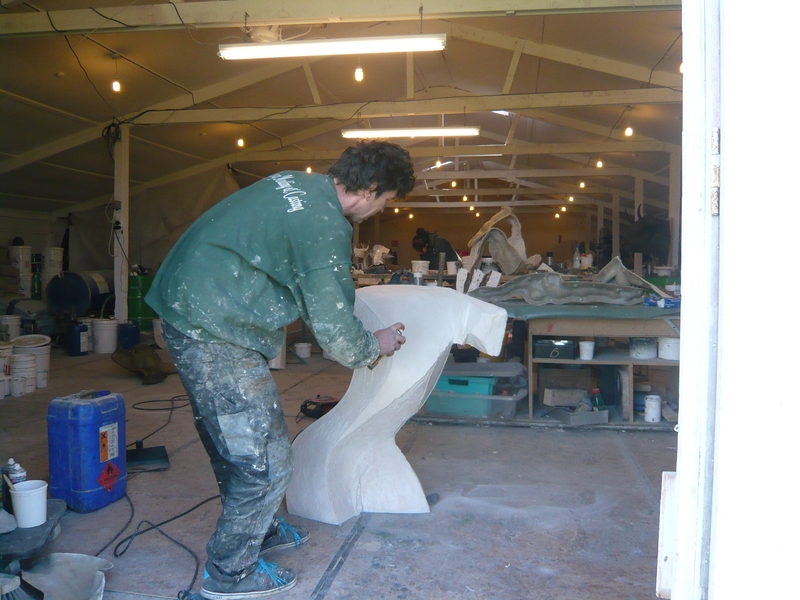 Above left – Dill at Ridgeway putting the finishing touches to one of my larger works, Danseur. 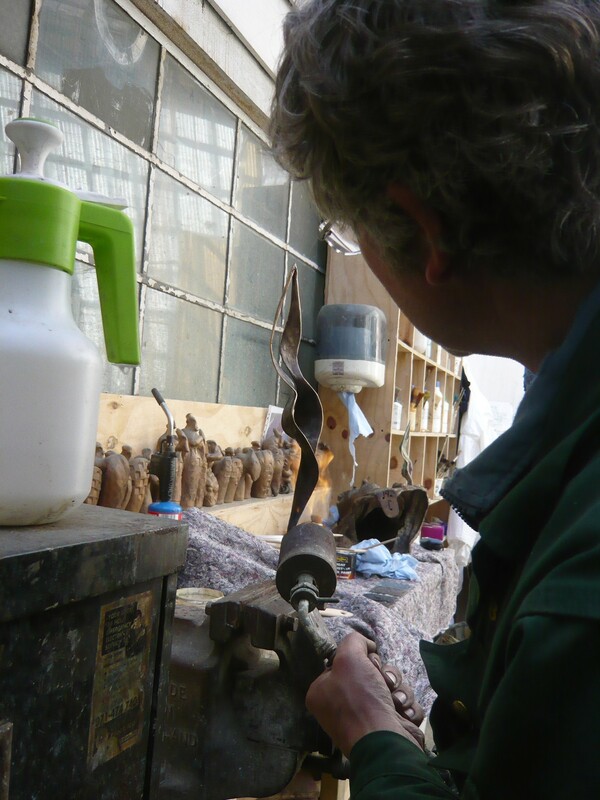 Mark at Bronze Age working on patination – left is Figurative Abstraction I and right Reverie. It doesn’t seem to matter what your medium is – artists are always having to solve weird problems that they have invented. It never ends, in my experience. Good luck with your exhibit! Have a blast.